If everything you know about pawn services comes from reality TV or a friend of a friend, you owe it to yourself to learn more! 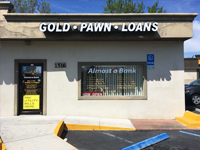 You might be surprised to see just how beneficial a pawn loan can be for you--or just how easy it is to attain one. Below, we hope to demystify the pawn process with a few key facts, as well as an idea of what to expect when you come into our store. Take a look! Your car is, no doubt, one of the biggest investments you've ever made. Why not make that investment work for you in a big way? By using your car to receive a loan from Auto Pawn, you are putting this investment toward wherewithal for your future--whether that means paying bills or making way for surprise expenses. Using your car as collateral helps to simplify the loan process. Because such a tangible item is on the line, both lender and borrower can carry out the loan in confidence of the agreed-upon terms. Additionally, as the borrower, you have an added incentive to pay off your loan quickly. 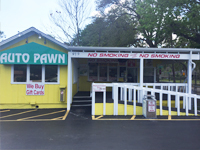 What makes Auto Pawn of Daytona different from your run-of-the-mill pawn store? We have the capacity to take on large items like cars, trucks, motorcycles, RVs and even boats! So in terms of storage, you never have to wonder whether or not your unique vehicle will be accepted for a loan. We can do it all. 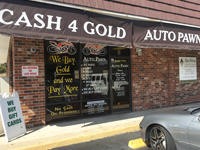 Auto pawn loans are just the beginning of what we offer at Auto Pawn of Daytona! We loan up to $100,000 on anything of value. Call us or come in today for a better look at how we can help in your unique situation. We look forward to seeing you soon.